iTaxitop London hits 12 millionth road mile! Today we celebrate with our friends at Verifone Media a big milestone – our 2nd birthday on the road in London! Many people who follow us will know that Eyetease worked for many years to change regulations in London to allow our new technology onto the iconic London black cab! In 2014, following 4 years of testing, lobbying and begging, we did it! 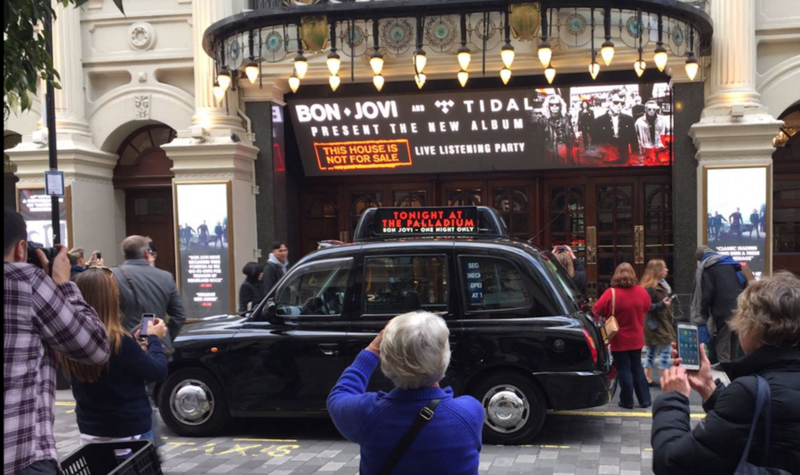 Since launching 400 screens across London taxis in October 2014, the network has gone from strength to strength; advertising global brands such as MasterCard, Starbucks, Heineken, Ebay, Google, the list goes on! 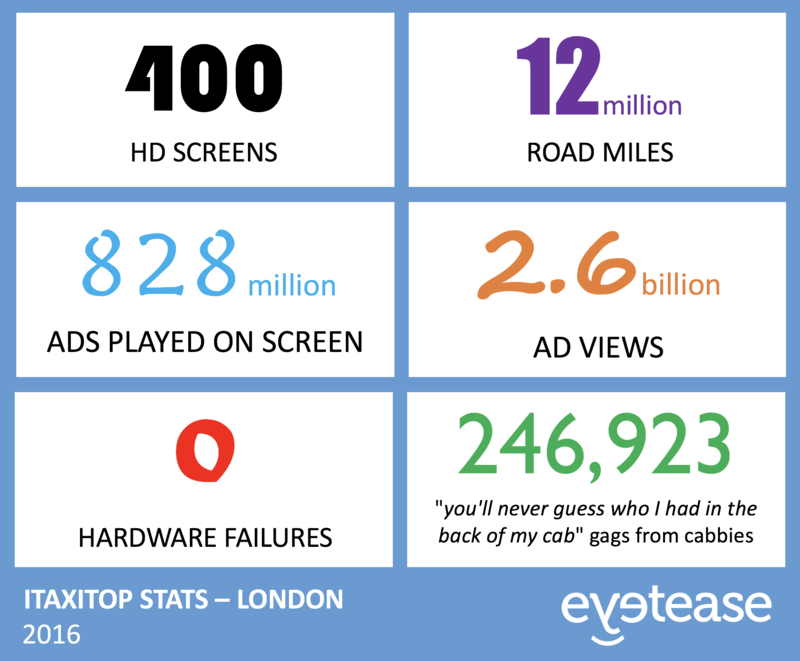 Within this time, the iTaxitop has clocked up some impressive statistics which we wanted to share with the world! 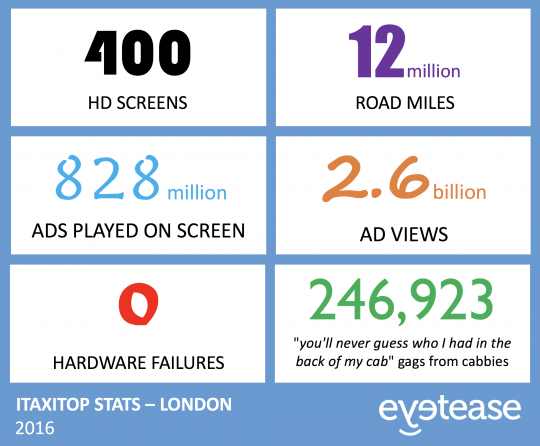 For more information on the iTaxitop and how digital taxi advertising can benefit your company or brand, please contact info@eyetease.com!